£55 per canoe for the day. Suitable for children - we suggest Route. You will paddle upstream and through Marsh Lock heading towards Shiplake and Wargrave along the main part of the river, past Paul Daniels' house. The St George and Dragon pub awaits thirsty and hungry paddlers. On the return, duck down under the tiny bridge and discover the Hennerton Backwater. Kingfishers, herons and other wildlife can be spotted in this little known back water. If you return to Henley early paddle under Henley Bridge and see the regatta course before heading back upstream where you can treat yourselves to a well earned ice cream! 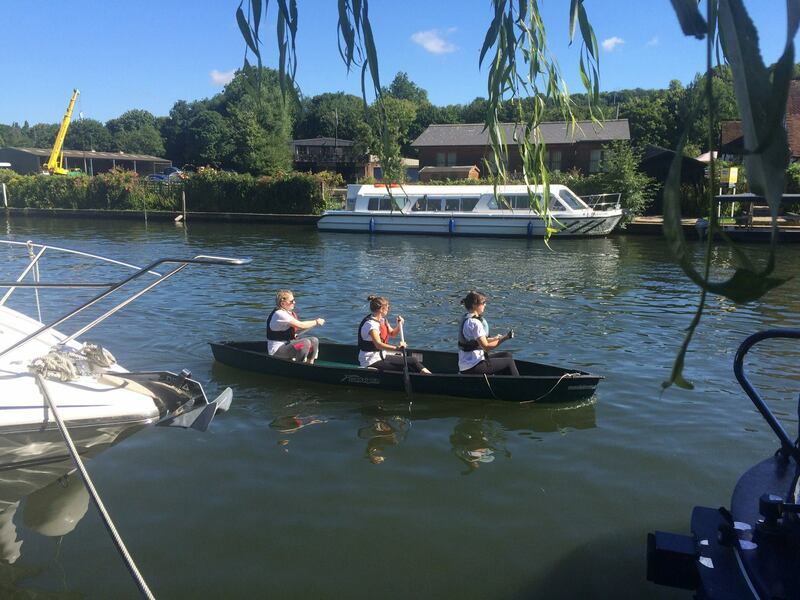 Paddle downstream along the regatta course and past temple island and through Hambledon lock. Be sure to leave enough time for the upstream paddle which some times gets quite windy!